ASTM B151 / ANSI B16.5 / UNS C71500 / DIN 2.0882. ASTM B151 Copper Nickel 70/30 Slip on flange, ANSI 16.5 Cu-Ni 70/30 Socket weld flange, UNS C71500 Flanges, DIN 2.0882 Flanges, WERKSTOFF NR. 2.0882 Flanges, Copper Nickel 70/30 Flanges, Cupro Nickel 70/30 Flanges Supplier in Mumbai, India. Cu-Ni 70/30 Reducing flange, Cu-Ni 70/30 SORF flange, Cupro Nickel 70/30 SWRF flange, Cupro Nickel 70/30 Screwed flange, Cupro Nickel 70/30 Forged flanges, Cu-Ni 70/30 Welding neck flange, Copper Nickel 70/30 Plate flange, Copper Nickel 70/30 Blind flanges, Cupro Nickel 70/30 Spectacle blind flange, Copper Nickel 70/30 Threaded Flanges, Cu-Ni 70/30 Ring type joint flange, Cupro Nickel 70/30 Flanges Exporter, Copper Nickel 70/30 Tongue and Groove flange, Corrosion Resistant Copper Nickel 70/30 Flanges, Cupro Nickel 70/30 Long weld neck Flange. Jayesh metals are an approved manufacturer of copper Cu 70/30 Flanges and also ISO 9001: 2008 certified company. They are manufacturing copper flanges in various shapes, size, grades and specification with ANSI, DIN, ASTM standards. Jayesh metal is the most preferred manufacturer globally to manufacture copper flanges for critical applications. They manufacture and stock even, odd sizes of flanges in the high copper alloy. 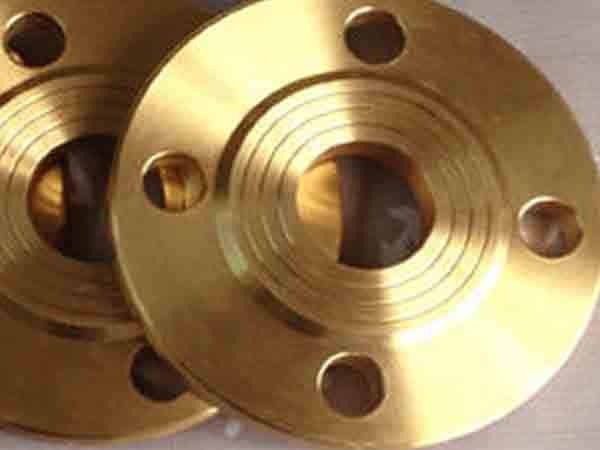 The Copper Nickel 70/30 Flanges are used in marine engineering, chemical processing, heat exchangers, hydrocarbon processing, pumps manufacturing, valve manufacturing, nuclear plants, petrochemical plants, oil and gas manufacturing equipment. Manufacturer procures quality raw materials for processing copper flanges. Hexagonal bundles, wooden crates, cardboard boxes, pallets are used for packing, provides extra wellbeing while exporting products. Later on, wrap in plastic prevents oxidization and rusting. Jayesh metals are an ISO certified company, provides only endorse quality products. Different testing is done before dispatching the products includes PMI, IGC, flattening, flaring test, radiographic test, mechanical test, chemical test and other test certificates as per customer demands. Cu Ni 70/30 Flanges available at reasonable prices, you can buy for long lasting assembly uses. 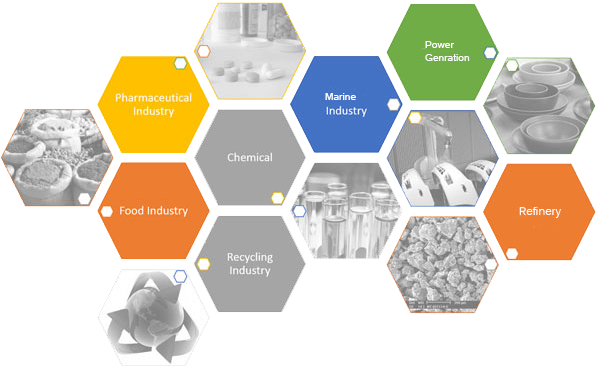 cu-ni 70/30 flanges manufacturer in india, copper nickel 70/30 flanges manufacturer, cu-ni 70/30 flanges pipe, cu-ni 70/30 flanges manufacturer in mumbai, copper nickel 70/30 spectacle blind flanges, copper nickel 70/30 flanges, cupro Nickel 70/30 flanges manufacturers, cu-ni 70/30 weld neck flanges, cupro nickel 70/30 flange astm, cupro nickel 70/30 flange manufacturer india, copper nickel 70/30 price list, 70/30 flange manufacturer, copper nickel 70/30 flanges suppliers, copper nickel 70/30 wrought austenitic flanges, cupro nickel 70/30 flange price list, copper nickel 70/30 flanges price list, cu-ni 70/30 pipe flanges, cupro nickel 70/30 flange stockholders in india, ms cu ni 70/30 flange manufacturer in india, copper nickel 2.0882 screwed flanges supplier, coastal flange, cu-ni 70/30 supplier in india, cupro nickel 70/30 loose flanges, cu-ni 70/30 manufacturer in mumbai, cupro nickel 70/30 exporter in india, cupro nickel 70/30 flanges manufacturing companies in india, copper nickel 70/30 dealer in mumbai. Puerto Rico, Saudi Arabia, Gambia, Mongolia, Estonia, Jordan, Yemen, Libya, Netherlands, India, Bolivia, Hong Kong, Czech Republic, France, China, Denmark, Norway, South Korea, Portugal, Morocco, Slovakia, Macau, Argentina, Thailand, Venezuela, Lebanon, Poland, Mexico, Taiwan, Kuwait, Switzerland, Kazakhstan, Singapore, Finland, Namibia, Pakistan, Iraq, Australia, Indonesia, Spain, Ukraine, Vietnam, Ecuador, Afghanistan, Brazil, Iran, Nigeria, Colombia, Ghana, Chile, Poland, United Arab Emirates, Iran, Ireland, Qatar, Nigeria, Gabon, Mexico, Tibet, Kenya, Azerbaijan, Nepal, Zimbabwe, Bhutan, Angola, Chile, Italy, New Zealand, Oman, Philippines, Germany, Bangladesh, Peru, Lithuania, Japan, United Kingdom, Russia, Turkey, Israel, Croatia, Bahrain, Trinidad & Tobago,Tunisia, Austria, United States, Bulgaria, Egypt, Sri Lanka, Hungary, Sweden, Greece, South Africa, Belgium, Belarus, Canada, Costa Rica, Romania, Malaysia, Serbia, Algeria. Ranchi, Manama, Haryana, Ho Chi Minh City, Bogota, Surat, Moscow, Dubai, Jeddah, Brisbane, Santiago, Ankara, Hanoi, Pimpri-Chinchwad, La Victoria, Vung Tau, Tehran, Mexico City, Milan, Lagos, Faridabad, Howrah, Chandigarh, Dallas, Mumbai, Rio de Janeiro, Ludhiana, Geoje-si, Hyderabad, Kanpur, Jakarta, Secunderabad, Los Angeles, Ahvaz, Toronto, Navi Mumbai, Melbourne, Chiyoda, Bengaluru, Sharjah, Lahore, Granada, Jamshedpur, Petaling Jaya, Singapore, Houston, Indore, Ernakulam, Cairo, Atyrau, Seoul, Perth, Colombo, Kuwait City, Hong Kong, Noida, New York, Pune, Ulsan, Port-of-Spain, Abu Dhabi, Courbevoie, Vadodara, Calgary, Gimhae-si, Coimbatore, Madrid, Al Jubail, Doha, Nagpur, Aberdeen, Thiruvananthapuram, Algiers, Rajkot, Ahmedabad, Riyadh, Kuala Lumpur, Nashik, Dammam, Chennai, Istanbul, New Delhi, Bangkok, Caracas, Muscat, Baroda, Montreal, Visakhapatnam, Busan, Thane, Karachi, Sydney, Gurgaon, Al Khobar, Jaipur, Bhopal, London, Kolkata, Edmonton.